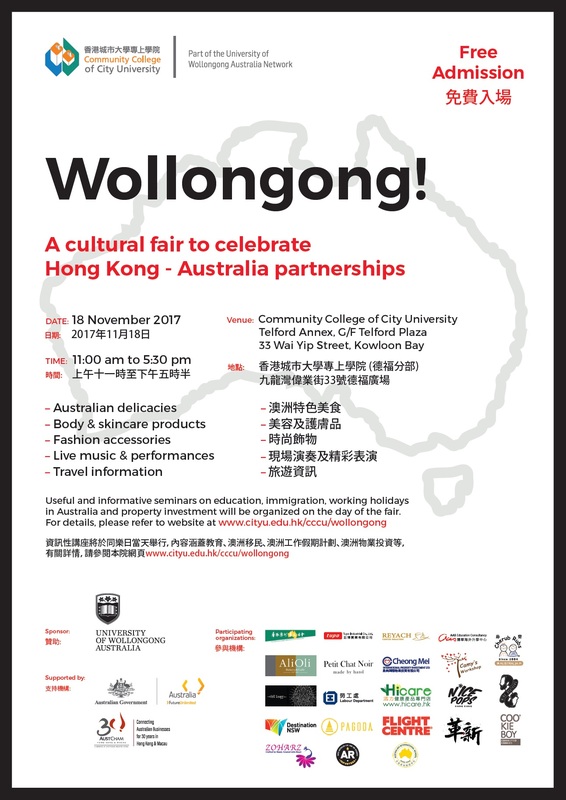 To encourage young people to explore the world and broaden their horizons, the Working Holiday Scheme Unit of the Labour Department will participate in the“Wollongong!” Cultural Fair organised by the Community College of City University (CCCU) on 18 November 2017. 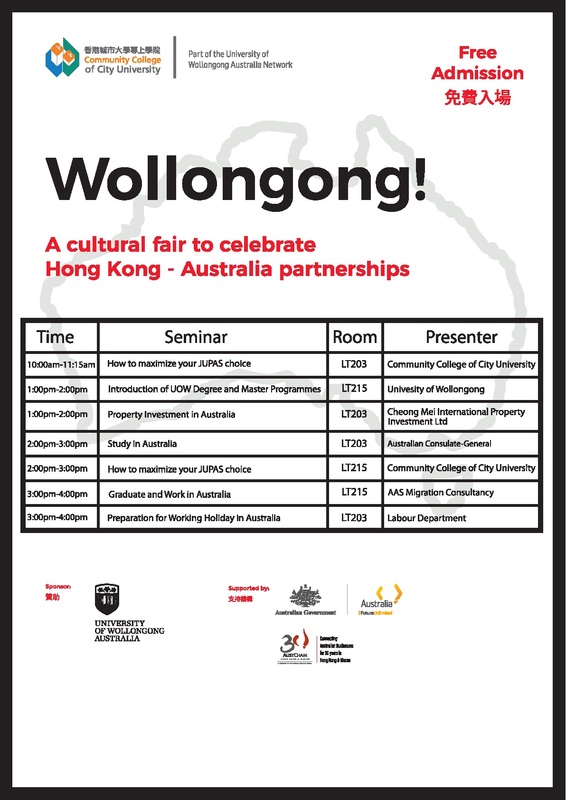 Representatives of the Labour Department will introduce the Australia Working Holiday Scheme in the seminar held in the afternoon. Previous working holidaymakers, Jacky and Sunny, will also share their valuable experience in Australia during the seminar. Mark your calendar with the details below!